The Institute for Reproductive Health came to Miller Cormier looking for a visual refresh, as well as some strategic thinking. 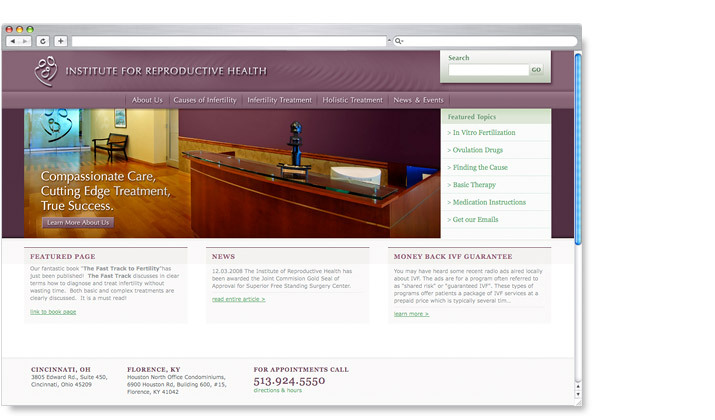 The resulting site now caters to their patients by clearly organizing content and adding search functionality. We also made it easier for the staff and doctors to update the site by adding a content management tool. Last but not least, we updated the visuals to project a contemporary and professional appearance.